The ultimate reference for all players, devotees and students of Irish Traditional Music. 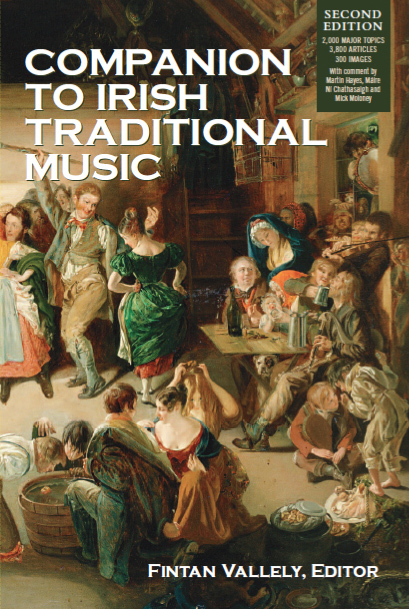 It is an indispensable reference guide to Ireland’s universally-recognised Traditional music, song and dance. 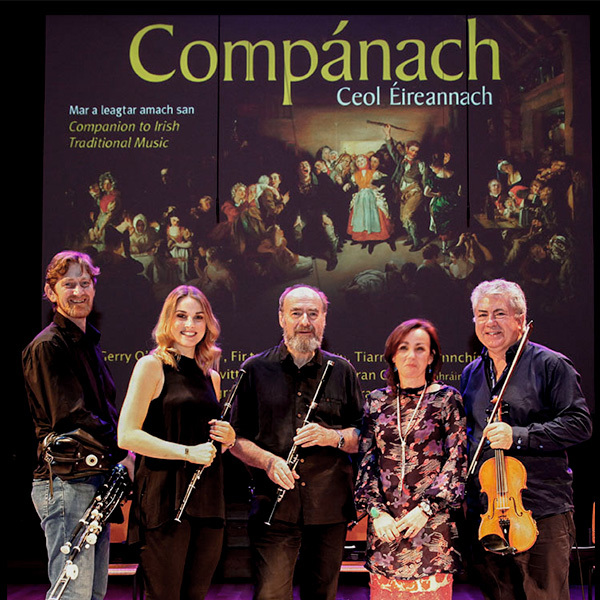 The Companion is now represented in a concert – Companach – which is touring in Ireland, Europe and the US. This 1833 work is 'Snap Apple Night' by by Daniel Maclise, the earliest painting of indigenous Irish music in context, the earliest of a traditional-music ensemble and also of a tambourine in Ireland. Aspects of the picture are acknowledged as intentionally playful, making it possible that the depiction of fiddle, flute and pipes together may be fanciful - as may be the inclusion of a perfect, hand-struck tambourine, an instrument which was common in 18th-19th century art as an evocative symbol.